The first thing you need to do is make the rice. Stir it until all the rice is colored. I make the colors in this order from left to right. I make the pink, purple, then blue and wash the bowl. Then I make gree and wash the bowl. Then yellow and then orange. I do it in this order specifically so I don't have to wash the bowl between every color. 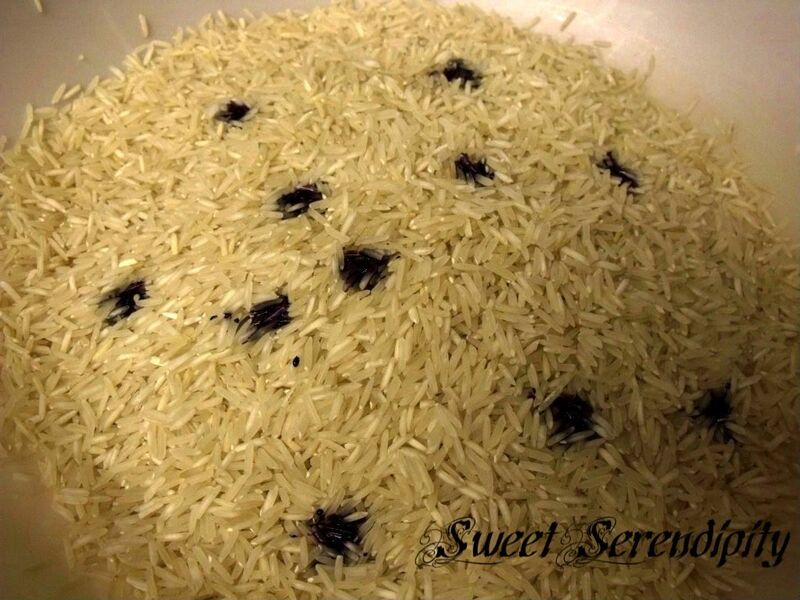 Once dry pour the rice into a dishpan, sand table, or a shallow rubbermaid container will work. Add green items..I added large shamrock confetti, green and gold coins, green sparkle pompoms, and gree glass rocks. I also added small appetizer tongs, small ladles, 2 green buckets, and a funnel. 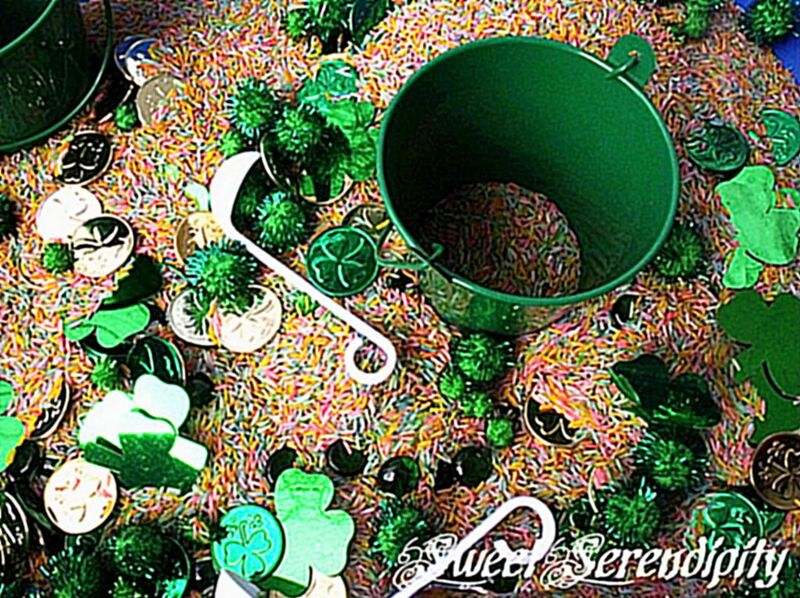 I love using the sand table this way..my children enjoy just playing with the rice, filling hte buckets, sorting the items, and its counting fun too!!! That's a really cute idea. I bet it would be beautiful if you layered the rice in a clear container, too. Great job.